Many people dream of witnessing the mystical Aurora Borealis first hand. 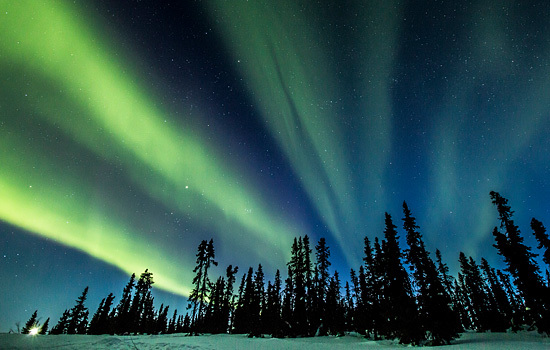 Canada’s northerly Yukon province is considered one of the best places in the world to view these majestic lights. On this incredible winter adventure, spend 4 nights in awe as the Northern Lights ripple across the dark, starry sky above you. 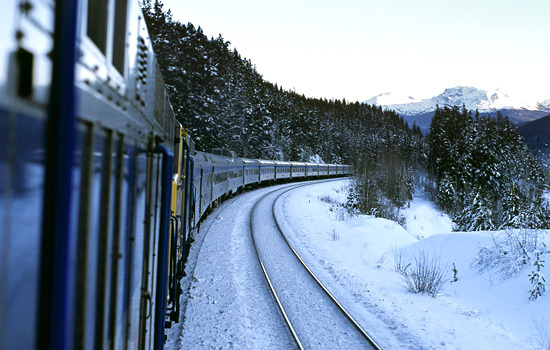 During the day, enjoy charming Whitehorse’s unique frontier history and thriving arts scene along with exciting winter activities. The Best Western Gold Rush Inn is located in downtown Whitehorse, walking distance from restaurants, museums, and shops. With spacious and modern rooms that include WiFi and flat screen televisions, this hotel provides for every comfort. 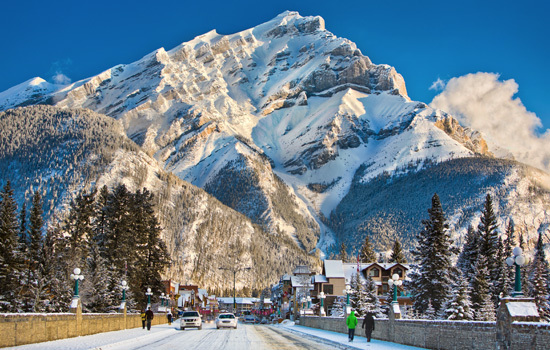 One of the most beautiful cities in the world, Vancouver is surrounded by towering mountains and sparkling ocean. 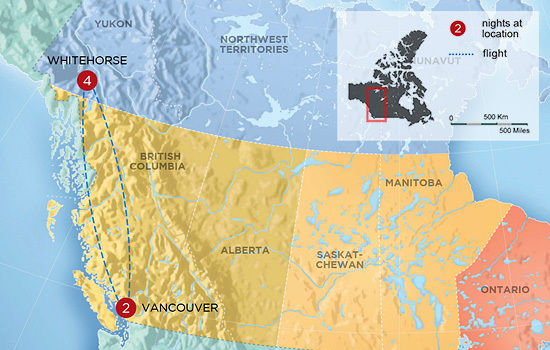 For convenience, stay overnight at the airport in preparation for your flight tomorrow when you fly off to the Yukon! Say goodbye to Vancouver as you fly north to the Yukon to begin your Northern Lights adventure. 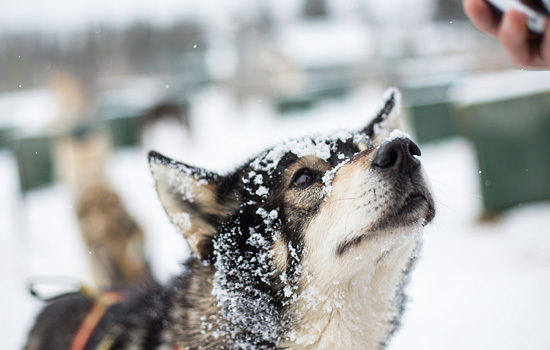 After arriving in Whitehorse, you’ll be welcomed at the airport and transferred to your downtown hotel. Before setting out later this evening for your first Aurora tour, there will be time for an information meeting and fitting of arctic winter clothing. 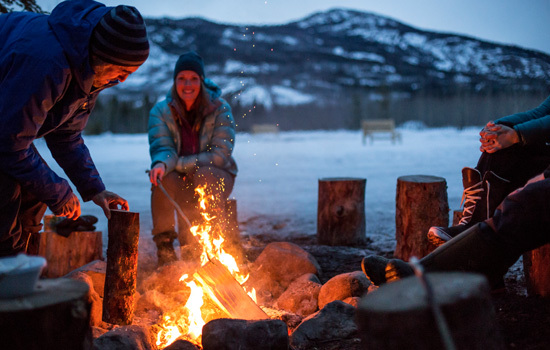 Later tonight join a small group and venture to a secluded wilderness cabin where you’ll enjoy hot drinks and snacks inside or by the campfire, waiting for the lights to appear. As you learn about the folklore and science surrounding the lights, something will catch your eye. Soon you’ll see the dancing colored arcs of the Aurora Borealis above you. After a thrilling evening of Northern Lights viewing you will be transported back to your hotel, arriving between 2:30am and 3:00am. Insider tip: Dinner tonight is on your own. Ask your Vacation Coordinator for their top restaurant recommendation to start your trip off right. Rest up this morning after your thrilling night of Aurora viewing. Today, enjoy an orientation tour of Whitehorse featuring the Main Street, Train Depot of the White Pass and Yukon Route, Yukon Visitor Information Center, Log Skyscraper, Log Church, Sternwheeler SS Klondike, Fish ladder, Schwatka Lake and residential areas to give you a nice overview of Whitehorse. Enjoy lunch on your own before your afternoon tour begins. 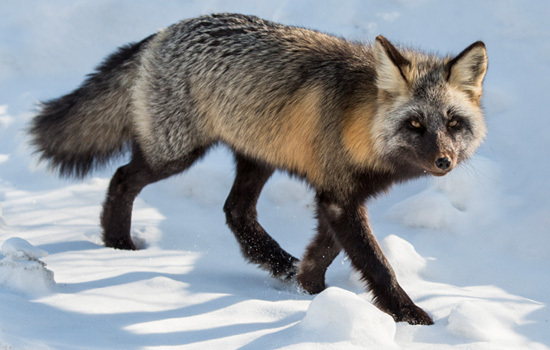 This is a great opportunity to photograph wildlife in its natural habitat: Dall Sheep, Bighorn Sheep, Mountain Goat, Deer, Elk, Woodland Cariboo, Wood bison, Musk-ox, Arctic Fox and Moose may be seen, usually close up. Then short drive to the Takhini Hot Springs. Relax in the hot water pool and enjoy the winter landscape. 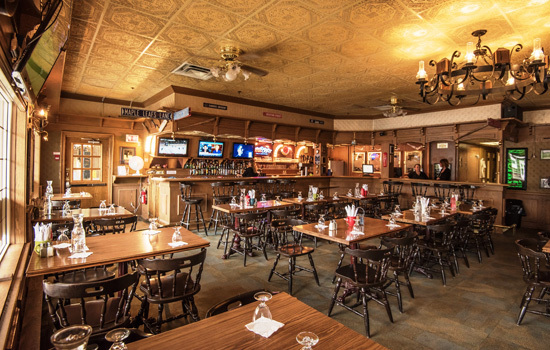 Enjoy time for dinner on your own in Whitehorse this evening, before heading out for another night of adventure and opportunities to see the Northern Lights. Your Canadian adventure continues in the Yukon today. 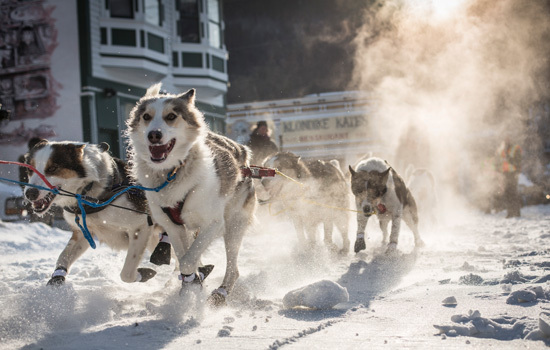 over the frozen landscape behind your enthusiastic team of huskies. how to drill deep into the ice to try fishing for Lake Trout or Grayling. Dinner on your own then time for another night of Northern Lights Viewing. 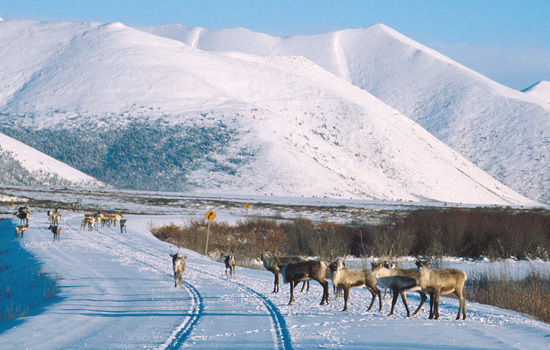 A drive on the South Klondike Highway is never a dull experience! 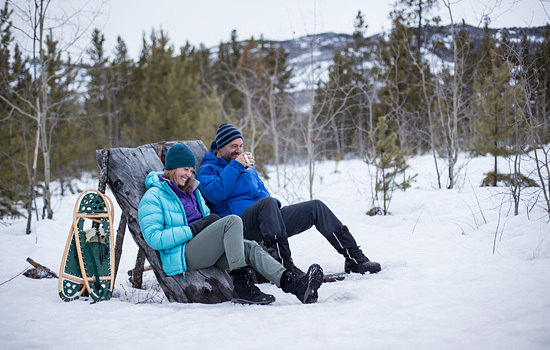 Not only will you get to enjoy the gorgeous views of the mountains and lakes along the road, you will also discover the small community of Carcross, on the shore of Bennett Lake. At the furthest point of our excursion, soak in the expansive view over Tagish Lake and Bove Island. 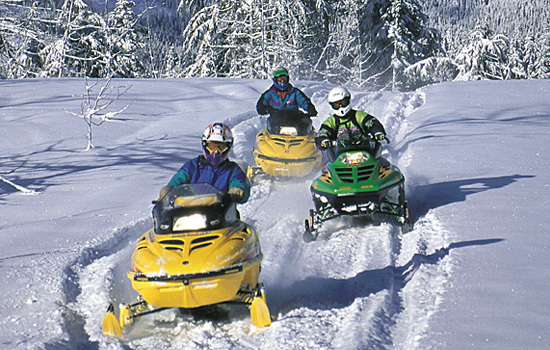 After a lesson and trial run with an instructor, head out on a thrilling guided snowmobile adventure over the beautiful winter landscape of the Yukon. Enjoy dinner on your own before heading out for your last night of Northern Lights viewing. 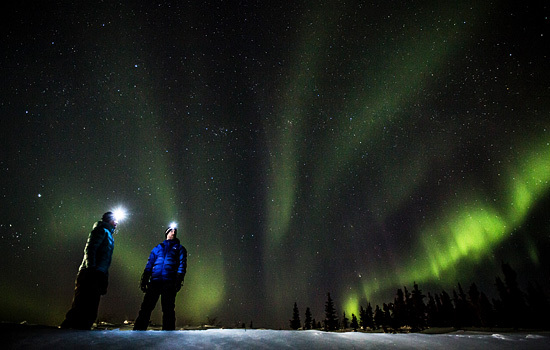 Feel the excitement build as you hunt for the best spot to see the magical Aurora Borealis. Your guide will drive to the best locations to capture that perfect photo of the Northern Lights. 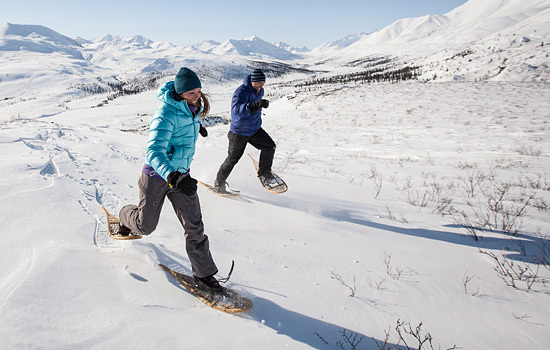 A true Yukon Wilderness experience! Today you are transferred to the Whitehorse airport for your flight back to Vancouver. 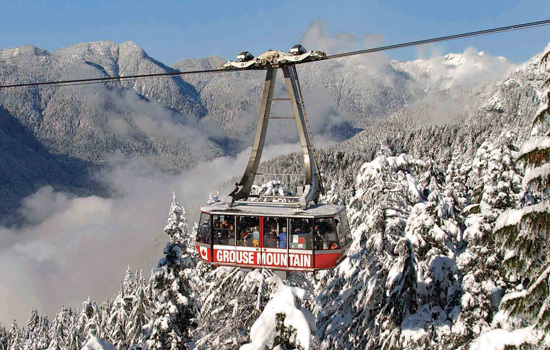 Enjoy the remainder of your day at leisure in Vancouver to explore on your own. Much too soon, your Northern Lights adventure comes to an end. Step out your hotel right into the airport for your flight home. • Add on additional nights in Vancouver to explore the city. 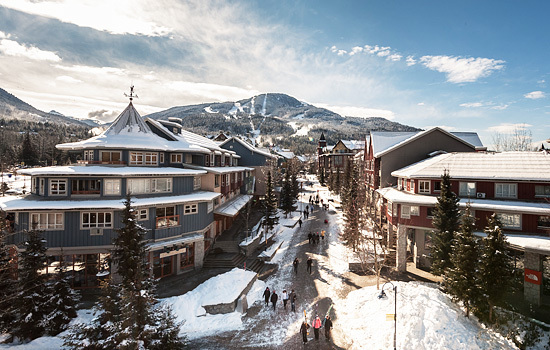 • Ask your Vacation Advisor to add a visit to the Olympic City of Whistler for a ski holiday. • 2020 departures are available. Some itinerary variations may apply.